When you are driving on any type of road, other drivers trust you to follow the laws and to operate your vehicle with caution. You also trust other drivers to do the same. Sometimes, drivers get careless with the way they handle their vehicles. Careless driver accidents can result in injuries and damage, possibly even death. When you have found yourself the victim of this kind of collision, a Chicago personal injury lawyer from Kurasch & Klein can help you fight for justice against the responsible parties. CALL US NOW AT 312-372-7250 – OR MESSAGE US HERE – THERE’S NEVER A CHARGE UNTIL WE WIN! 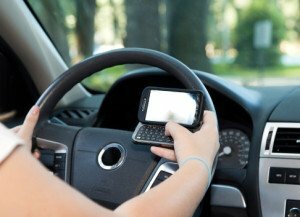 When something goes wrong and a distracted driver causes a car accident, severe life-threatening injuries can be sustained, and the effects can last a lifetime. If you have been harmed because another driver breached their duty of care in this manner, you may be entitled to compensation as a result of their negligent conduct. Damages under these circumstances can cover things like medical care costs, lost income, and other amounts. 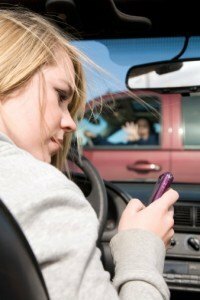 When you have been the victim of a texting and driving accident, you need legal help. Contact the injury attorneys at Kurasch & Klein to discuss your case right away. Contact the injury lawyers at Kurasch & Klein today to discuss your case. We can help you pursue the compensation you deserve, and are experienced in negotiating fair settlements from insurance companies. Kurasch & Klein consists of a dedicated team of attorneys who put your needs before our own. From start to finish, our team of professionals will be committed to helping you seek justice after you have been in a careless driver accident—we are on your side. Our clients have always been our number one priority and we take great pride in serving you. For a Chicago personal injury law firm that puts your needs first, contact the experienced accident lawyers at Kurasch & Klein today.